Scientists are often seen as meticulous and impartial individuals solely devoted to their study and the search for scientific truth. But a deeper analysis reveals that many of them are highly egocentric and sensitive to their public image and its associated privileges. Egocentrism, elitism, strategic media occupation and self-enhancement strategies are some of the first particularities that strike a newcomer to the academic world. 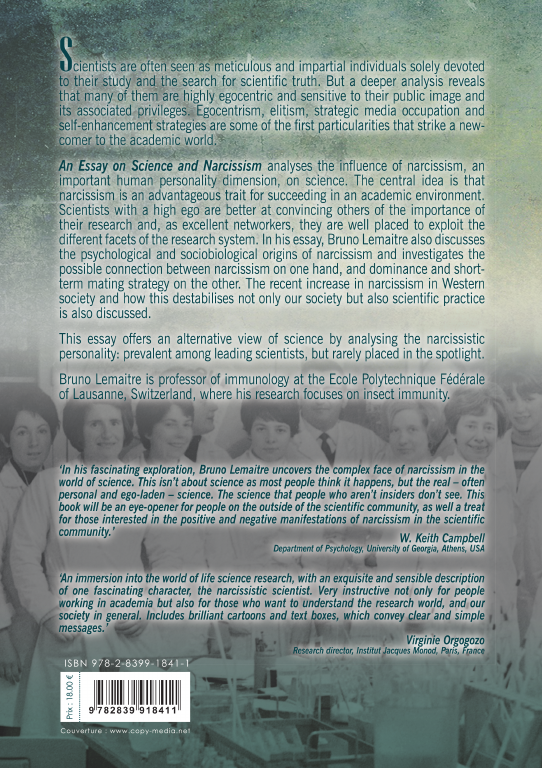 An Essay on Science and Narcissism analyses the influence of narcissism, an important human personality dimension, on science. The central idea is that narcissism is an advantageous trait for succeeding in an academic environment. Scientists with a high ego are better at convincing others of the importance of their research and, as excellent networkers, they are well placed to exploit the different facets of the research system. 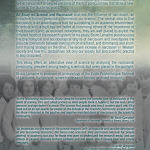 In his essay, Bruno Lemaitre also discusses the psychological and sociobiological origins of narcissism and investigates the possible connection between narcissism on one hand, and dominance and short-term mating strategy on the other. The recent increase in narcissism in Western society and how this destabilises not only our society but also scientific practice is also discussed. 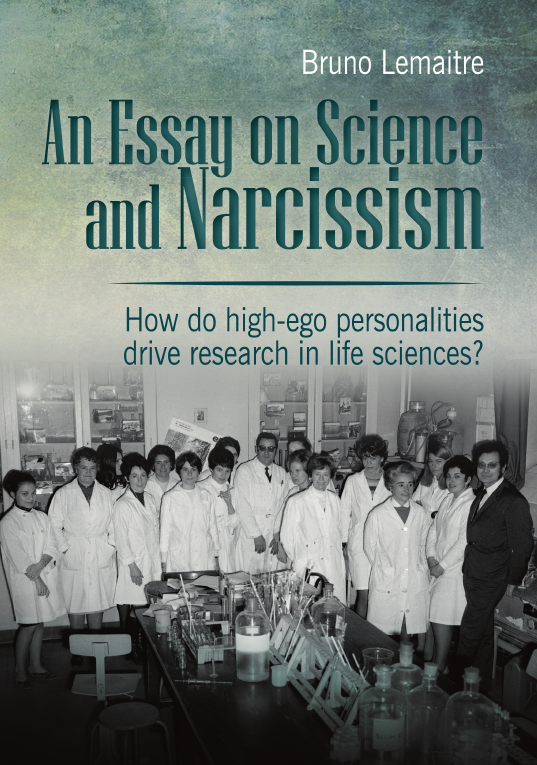 This essay offers an alternative view of science by analysing the narcissistic personality: prevalent among leading scientists, but rarely placed in the spotlight. You can download the table of content here.